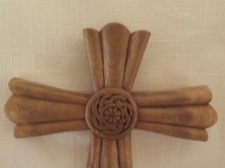 Smoothly finished, soft and wonderful to the touch - an elegant and simple handcarved celtic cross. In the center is a carefully carved spiral, which represents God with all things revolving around him. 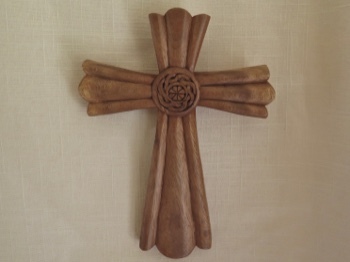 Made from controlled, renewable raintree wood in Bali, this cross measures 9.5 inches tall, 7 inches wide, and 3/4 inch thick.